Join us this autumn as we travel from Munich to Berlin to tour sites pertaining to the rise of Hitler and the Third Reich. 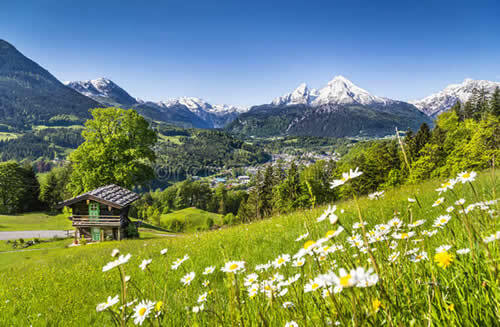 We will journey from the Eagle's Nest in the beautiful Bavarian Alps to the beer halls of Munich; from Dachau concentration camp to the Nazi rally grounds and the famous courtroom in Nuremberg. 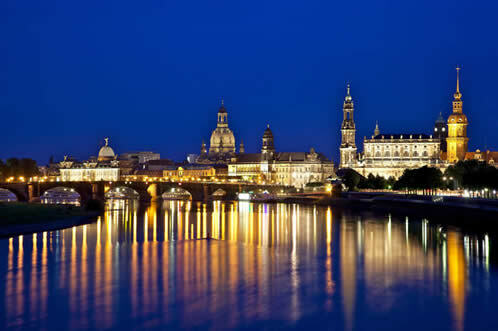 We will visit the Rococo jewel of Dresden that was reconstructed from the ashes. We will spend four full days exploring sites in Berlin that pertain to WWII and the Cold War including the Reichstag; the site of Hitler's bunker; the Cecilienhof Palace, site of the Potsdam conference; the Berlin Wall Memorial; and Check Point Charlie. Battlefield guide Bill McQuade and guest historian Ed Bearss will accompany us on this program. Note: Staff (Ed Bearss & Marty Gane) will fly to Salzburg two days early. They are scheduledto depart at 6:10 pm on Sunday, September 16 from Washington Dulles Airport on Lufthansa Airlines flight #419; connect with LH#1592; and arrive in Salzburg on September 17 at 9:55 am. 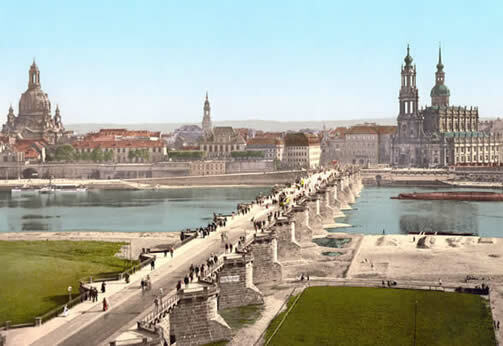 We will take a walking tour of Munich, the birthplace of the Third Reich. 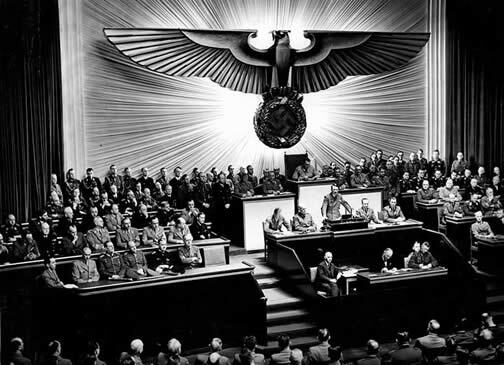 We will see the beer halls where Hitler attended his first party meetings and made his first major speeches. We’ll see the building where Goebbels launched Kristallnacht, the location of the Beer Hall Putsch street battle, and memorials to victims of the Third Reich. 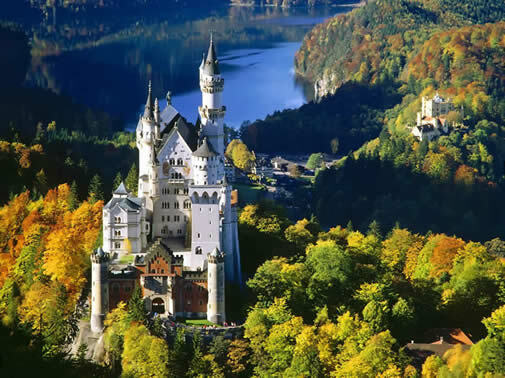 We will take a full-day excursion to King Ludwig II’s Neuschwanstein Castle. During WWII, the Nazis stored thousands of paintings inside the castle as featured in the film Monuments Men. We will also tour Linderhof the “mad” king’s hunting lodge before returning to our hotel. This morning, we drive to Berlin. 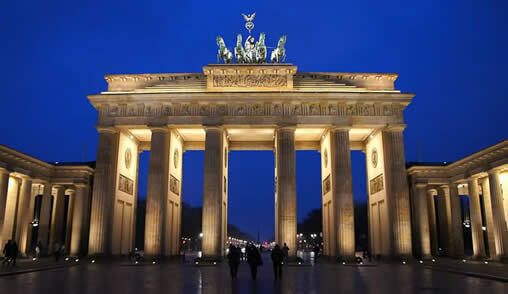 Our orientation of the city will include seeing the Brandenberg Gate and Tiergarten. 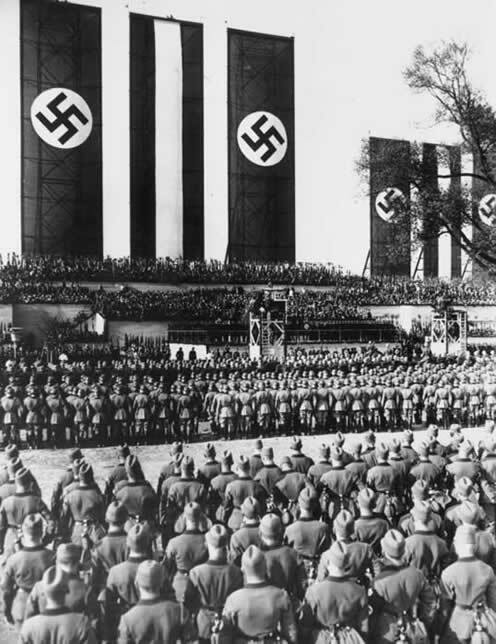 We will tour the Reichstag Building and the German Resistance Memorial and we will see the Holocaust Memorial and the site of Hitler’s bunker. 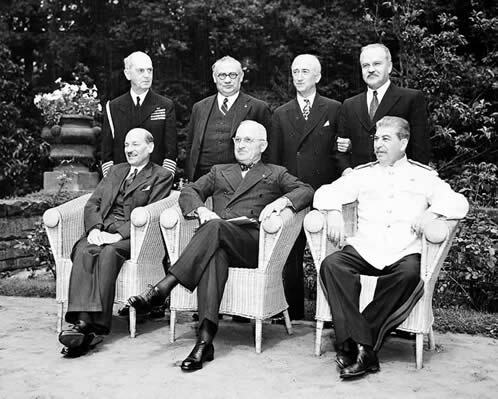 We will tour the Cecilienhof Palace, site of the Potsdam Conference in 1945 where Truman, Churchill, and Stalin met to decide the fate of Germany and the post-war boundaries for the rest of war torn Europe. See Glienicke Bridge, where spies were exchanged during the Cold War. Proceed to the Allied Museum for a guided tour of exhibits that include the Berlin Airlift. Depart for USA or Paris for our D-Day Normandy tour, October 1-6, 2018. Note: American staff, Ed Bearss & Marty Gane will fly from Berlin to Paris on September 29. BATTLEFIELD GUIDE: We are delighted to announce that battlefield guide Bill McQuade, will accompany us through Germany as our expert guide. Bill says that his life long passion for military history was first stimulated on his 10th birthday by a present from his grandmother – a book by the RAF hero Guy Gibson entitled, “Enemy Coast Ahead.” Bill was stationed in Germany during the Cold War when he served with the Royal Scots Dragoon Guards, an armoured regiment. This posting provided Bill the opportunity to visit WWI and II battle sites, many of them still in their war time condition. Upon discharge from the Army, Bill earned his teaching qualification at Wakefield College and began a career in adult education. However, his passion for military history was too strong. He began leading battlefield tours and soon found himself in high demand by documentary film makers. Bill is a student of both ancient and modern warfare including the Battles of Marathon and Waterloo; the Franco-Prussian War; the Great War; the Second World War; the Holocaust; the Cold War; the Arab-Israeli conflicts and Vietnam. Acknowledged by many as one of the finest and most experienced battlefield guides currently operating tours, Bill leads tours of Third Reich Germany 6 to 8 times a year. Bill is a founding member of the Guild of Battlefield Guides. GUEST HISTORIAN: We have also invited our dear friend Edwin C. Bearss to join us on this trip as our special guest. Author, lecturer and one of our nation's preeminent historians, Ed's encyclopedic knowledge and unflagging energy are legendary. A native of Sarpy, Montana, Ed is a decorated WWII Marine Corps veteran from the Pacific Theater. Ed has enjoyed a 41-year career as an historian for the National Park Service. In 1981, he was named Chief Historian Emeritus of the National Park Service, a position he held until 1994. Ed has led many WWII tours from Normandy to the Rhine River; the Battle of Crete, and the Italian Campaign and he is looking forward to joining us in Germany. Airfare; transfers between airport and hotel; trip insurance; personal items such as wines, liquors, a la carte orders, room service, laundry charges; and meals and other items not specifically mentioned as included. Price does not include airfare, however, we are happy to assist you with flight arrangements. We will post staff flight details shortly in case you would like to book seats on the same flights as Historian Ed Bearss and Tour Manager Marty Gane.